It’s that time of year where we are attending Graduation Ceremonies, Bridal Showers or Weddings, Baby Showers, Housewarming Parties or even those spring time Birthdays. 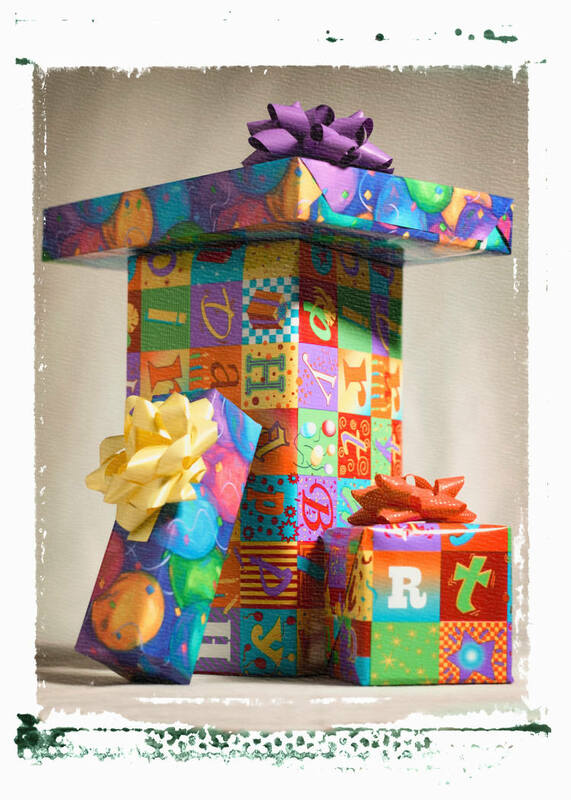 Regardless of what Celebration you have coming up, there seems to be endless occasions for gift giving. Make life a little easier by organizing gifts that are ready to go whenever you need them. Keep your eyes open for those items on sale that would be a perfect gift for someone on your list. Keep an alphabetized list of those gifts, who you gave them to and the date. Keep all the gifts you purchase in one area; this way you will not have to go “a hunting” when it’s time to attend the Celebration. Keep a small supply of things like scented candles, bath soaps, picture frames, or gourmet candies that can be used for a variety of gifts. If you receive a gift that you can’t or won’t use and you plan to re-gift the item later, make sure that you label from whom the gift came so you avoid any re-gifting disasters. Pick up a few gift cards to favorite local locations to have as alternatives. Keep all of these items together in a storage container, preferably near your gift wrapping supplies. Create a “gift wrapping” station. You can either buy a portable gift wrap organizer that holds both paper and ribbon; or use a tall plastic trash can for your rolls of paper and keep your ribbon, scissor and tape in a smaller Rubbermaid type box. Organizing gifts ahead of time and adding to your supply when you find great prices will allow you to share a gift with someone without wasting energy.